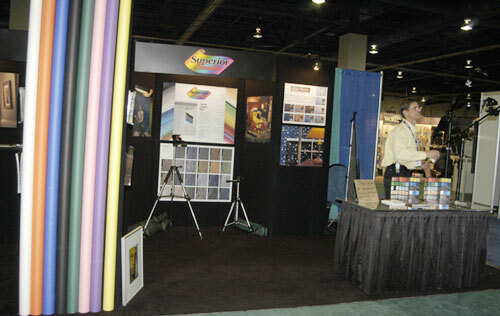 We have utilized seamless background paper from Superior Specialities for many years. Two main sources of traditional seamless photography studio backdrop paper. During over forty years of studio photography I have interchangeably used Super Specialities seamless backdrop paper or Savage backdrop paper. Presently we have primarily background paper from Savage because they sent it for evaluation (it works fine). But in past years we have used backdrop paper from Superior. Indeed the best material I have ever seen was a synthetic white backdrop material from Superior Specialities in Japan. But the US company did not know of this material (it was circa 1996, when FLAAR was hired by the Japanese National Museum of Ethnology to do a feasibility study for their museum on scanning and digital asset management. Superior makes traditional seamless background papers in dozens of attractive and subtle colors, scenic background material with texture, fabric backgrounds (muslin) and graduated backdrop material. Of the traditional background papers, one blue and one green are chroma key compatible. Superior Specialties has a clever eye-catching theme, female models dressed entirely in backdrop paper. Superior Specialities also sells gaffer’s tape and naturally offers photography backdrop stands. Rosco makes many kinds of “photographic backdrop paint” Rosco also makes Cinefoil and Photofoil which are useful to have around the photo studio. First posted June 21, 2006.